Next to our clients’ security our after sales service has the highest priority. We are here to help and guide you, from the moment you join the inspection tour, to after you have taken over your property. We believe that buying a property, also when in a foreign country, should be a pleasant an uncomplicated experience. - We inspect the properties during the building process to keep quality at the highest possible standard. - We keep you up to date by sending you photos and information on a regular basis. - We are always here for you if you have any questions or queries. - We will organize finance for you here in Spain and/or open an account for you. - We will guide you through the various formalities during take over, as smoothly as possible. - We offer to furnish your property so it is ready to move into when you get here. - We will put you in contact with property management and rental companies if so wished. Even after you have taken over your property, you are always welcome to contact us with any questions and we will do our best to assist you. Our aim is for you to benefit from our experience. This is a small guide describing the different types of property in Spain. Usually single level living, built in blocks although occasionally found on ground floor with duplex above. Most apartments have an outside balcony or terrace. Larger apartment buildings often have a communal swimming pool with a landscaped garden. Single level property on ground or first floor level with either a garden or a roof terrace. Bungalows are usually built in terraced rows with two storeys and have a communal swimming pool. Two level property. Usually built as a terraced house, but can also be found on upper and top floors of apartment buildings. Duplex often have a small garden or a roof terrace, or both. Communal swimming pool and landscaped gardens are normal features. Adjoining houses with one or more storeys built in pairs, each having its own garden. Like SEMI-DETACHED, but built back to back, four houses joined together forming a ‘square’, all generally having a private garden and parking space. Detached house of one or more levels on its own plot of land. This is to be used as a guide only. There are variations in definitions. The rate of VAT for new and transfer tax for re-sale properties is currently set at 10% of the purchase price. Approximately 5% for registration of property and raising of title deeds, water and electricity contracts. (The 5% figure is only a guide – the actual charges are fixed and the percentage value will vary depending upon the purchase price of the property). 40% (less reservation fee) of purchase price due one month after reservation. Final 60% on completion together with additional costs (as described above). 60% of purchase price plus additional costs and mortgage set up costs making it possible to have a mortgage up to 60% of the house purchase price. Spanish mortgages are annuity loans, and taken out for a period of 10,15 or 20 years providing the clients age will not exceed 75 years within the duration of the loan period. The loan can of course be repaid in full or part at any time. (Additional charges may apply). It is also possible to pay interest only for a max of 5 years. An English speaking firm of lawyers (Euro-Abogados Costa Blanca SL) will check your initial Contract from the Builder before forwarding it to you for your signature – Euro-Abogados Costa Blanca SL are available for all further legal matters regarding your purchase if you wish. Details of their costs for their services will be available during your Inspection Trip. To purchase a new built or a resale property in the Costa Blanca is a question that occupies our clients. Of course both options have its advantages and downsides. It also depends a lot of your private situation, if you want to have your new dream home right away or maybe you are willing to wait for your new home to be completed. It’s a lot to choose from, there are 1000’s of new and resale homes for sale both in the Costa Blanca South and in the Costa Blanca North. How many levels or storey? Do I have to rebuild it to use a wheel chair or adapt it for disabled persons? Should I have a roof terrace? Is it necessary with an underbuilt? What about the size of the plot, can I construct a pool later on? Should I have a garden or tiles or both? I definitely want a sea view! Located at the coast, close to the beach, in the centre of a city, in the countryside, close to a school, close to a hospital or shopping centre etc.? How do I finance the purchase? Should I have a mortgage in my homeland or in Spain? How much can I afford to pay for my new dream home? How much can I afford to pay per year (taxes, water, electricity etc.) included mortgage down payments? Should I have a tax representative? The latest and most modern in building materials, technical fittings, decorations etc. You may have the opportunity to ask the builder for changes while it is still not finished, like choosing different tiles, other colours painted, changing kitchen and bathroom furniture, floor heating, changing floor plan etc. Make the outdoor after your own wishes, garden, plants and trees, garage, pool etc. If you want to finance your property purchase in Spain, usually this is through a bank and not another finance institution. The mortgage is then based upon the final valuation of the property from neutral professionals. Do not worry about this process, please, Euroabogados is assisting and taking care of all this so you just have to come up with a few documents. We are collaborating with tthree banks in the area, La Caixa, Bancaja and Banco Popular, all located in Torrevieja. When the house or apartment is completed, Euroabogados see to that the professionals come to evaluate and prepare for the correct valuation of the property. They then will give the bank the final report and the valuation. Then the bank, after having received this together with your pay slips or similar for the last three months, will have all what it needs for signing the mortgage documents with you. If you have your own business and you are applying for a mortgage it is necessary that you have a statement with a stamp from your author confirming your income. If you are faxing or sending photo copies of your pay slips or other documents, please also bring with you the originals when you are here to sign the title deed at the notary. The banks offers mortgages with variable interest rate based on the EURIBOR (the interest rate to the banks from the European Central Bank). For the time being the interest rate is about five per cent. The down payment plan can be discussed with the bank, but usually it is maximum 30 years. However, it should be paid within you are 75 years old. So, if you are 60 years old when you are signing for the mortgage, the down payment time is 15 years (60 + 15 = 75). The costs in connection with the mortgage varies from one bank to the other. The valuation cost is about € 300,-. For establishing the loan they usually charge 1,5% of the total mortgage amount. If you want to finalize the mortgage before the last payment established in the contract, the bank will charge you a fee of 1% of the remaining value of the mortgage. WHY PROPERTY IN THE COSTA BLANCA? In the Costa Blanca you will find daring modern architecture, amazing diversity, sophisticated cities, postcard beaches, fantastic weather with about 320 sunny days a year; a sleepy countryside festooned with citrus and olive groves; delicious seafood, potato tortilla, tapas, and not to forget the paella which is THE typical food in the Valencia community; delectable sangria, and choice of wine from the best wineries in Alicante and Jumilla. The climate here is very diverse. Around the Mediterranean, summers are hot and dry, while winters are mild. Inland and in the higher areas it is colder and it might even come some snow in the winter. Remember: if you have only seen the coastal areas, then you can’t even imagine what you’ve been missing of the “real” Spain in the rest of the Costa Blanca. Tourism is very important to the economy, and those in the hospitality industry long ago settled on a homogenous tourist “package,” to suit the tastes of the annual sun-seekers, who continue to flock to the seaside resorts every year. More and more of these tourists turn into purchasers of an apartment, a villa or a golf property after their visit in the area. Spanish people enjoy one of the best lifestyles and quality of life in Europe, or, indeed, in the world. The Spanish are known for their close family ties, their love of children and their respect for the elderly. Additionally, traveling within the area is easy: there are international airports in Valencia, Alicante and Murcia, and connections are very frequent. Buses are reasonable, and serve destinations all over Europe; trains are fast, though a bit pricey, and also link countries throughout Europe. In the Costa Blanca you will find excellent roads and motorways with a speed limit of 120km/h. WHO (The World Health Organization) claims that in the Costa Blanca you live in the healthiest place in the world. This because of the climate, the clean air, and the healthy eating with seafood, bread, olive oil, some red wine, vegetables and fruit. To live in the Costa Blanca, either permanently or for some weeks or months during the year, are very beneficial for people with certain health problems, like rheumatism, arthritis, psoriasis and more. Properties are reasonably priced in the Costa Blanca and it is still possible to make a bargain compared to other popular coastal areas in Spain. 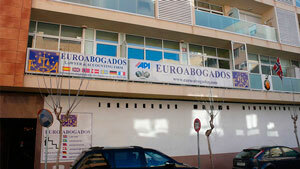 All our contracts are to be checked and controlled by the law firm EURO-ABOGADOS in Torrevieja. The result from this is reported to the purchaser absolutely free of charge. All the payments from the client according to the contract are to be paid directly to EURO-ABOGADOS client account. The only exemption is the reservation amount. The law firm is then responsible for the correct payment to the constructors and vendors. EURO-ABOGADOS are specializing in assisting foreign buyers of property in Spain. The lawyers and their staff are multi-lingual as well so you don’t have to worry if you cannot speak Spanish or if you do not know how everything is working here. We are all here to assist and help and take your worries and stress away, if you have any. At the notary when signing the title deed, a translator from EURO-ABOGADOS will follow you to translate everything in the deed and check that the deed and everything is correct. At the same time it is also necessary that the contracts for water and electricity is ready together with the N.I.E.-number (a fiscal ID-number). EURO-ABOGADOS are also helping you insure the property correctly. This are to be paid by the client. EURO-ABOGADOS offers you a membership in their Purchasers Club where they are giving you some free consultation and advice, translation of documents and letters from Spanish to your own language, advice and assistance during the purchase process, insurance advice and a lot more. We can arrange a meeting with the lawyers for you so you may discuss your private matters with them yourself and you then can ask in detail what they can do for you. More and more foreigners are coming to Spain to settle down permanently, either as senior citizens or they are looking for jobs or setting up their own business. EURO-ABOGADOS are also specializing in this and can assist you all the way through when it comes to applications and documents, Social Security insurance, health insurance etc. The law firm also has their own accountancy department and authors that may assist you with investment plans and setting up businesses. Ligesom derhjemme skal De have en hus- og indboforsikring. Har De banklån skal De have forsikring. I forbindelse med optagelse af lån i ejendommen tilbyder bankerne også forsikringer. Vi fraråder Dem at tegne disse bankforsikringer, da nogle af vore kunder har meget dårlige erfaringer hermed. Ved underskrift af lånedokumenter fortæller De banken, at De selv tegner forsikring, de betaler så bankens forsikring indtil De præsenterer Deres police fra et almindeligt forsikringsselskab. Vi gør opmærksom på, at De er ansvarlig for boligen i det øjeblik de har modtaget nøgler og ikke nødvendigvis først, når De har skrevet skøde. EURO ABOGADOS er agenter for et af Spaniens største forsikringsselskaber. Vi foreslår at tegne forsikringen der. NB: Vær opmærksom på, at priserne på boliger stiger kraftigt, så De bør hver 2 eller 3 år forhøje forsikringssummen på boligen. Dette sker ikke automatisk her i Spanien. Formular E 111, der tidligere anvendes ved rejser indenfor EU er på vej ud i de forskellige EU lande, og bliver erstattet med et specielt plastikkort (EU betegnelsen herfor vides ikke på nuværende tidspunkt). Før afrejse fra hjemlandet bør man derfor tage kontakt med sygeforsikringen for at undersøge hvad der er gældende i de enkelte lande. For residenter er det muligt at tegne en ekstra sygeforsikring, der giver adgang til privathospitaler. På mange af disse hospitaler er man indstillet på at tage sig af udlændinge, så normalt behøver man ikke at være nervøs for, at der skal opstå sprogproblemer. Vi kan anbefale alle vore kunder, der er residenter, at tegne en sådan forsikring. EURO ABOGADOS kan være Dem behjælpelig hermed.